"10 Dena Krusevska Repuiblika", or translated to English as "10 Days Krusevo Republic", is a feast organized in Krusevo every August which lasts for 20 days. The manifestation marks the 10 days in 1903 during which Krusevo freed itself from the Ottoman occupation. 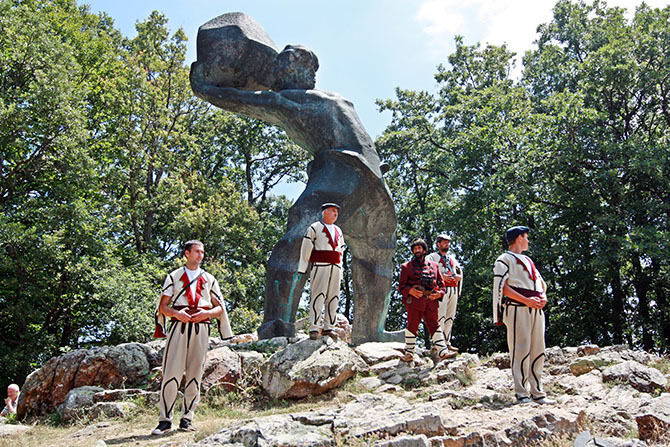 During the first 10 days every August, events that symbolize the struggle Macedonian people faced, the creation of the first Balkan Republic of Krusevo, and the multiethnic life take place. This event is preceded by yet another manifestation called "Ethno Town Krusevo" that again is closely related to the Ottoman Empire period. However, the feast “Ilinden” has a big place in Macedonian history and culture and is celebrated on the 2nd of August every year.